Even the greatest series eventually fall. 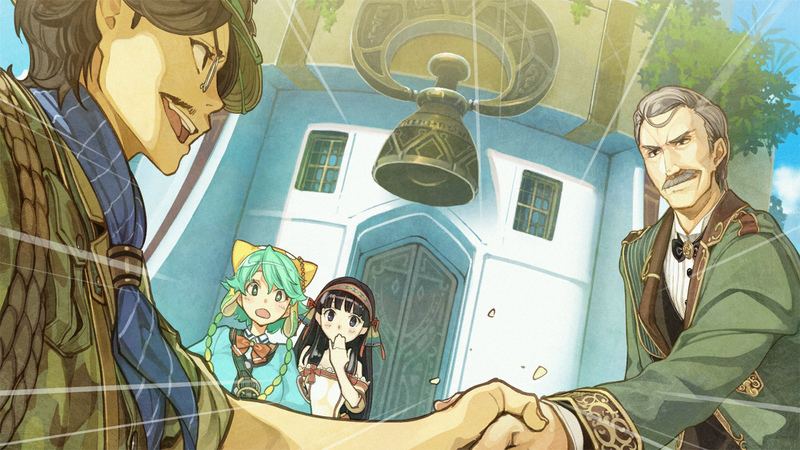 Atelier, which has brought some of the best RPGs of the PS3 generation, ends it without glory. Shallie’s lost focus and missed opportunities draw a hollow twilight for the Atelier series. Atelier Shallie is the 3rd (and last?) episode of the Dusk trilogy started with Atlier Ayesha and Atelier Escha&Logy. That’s the first problem of this game, because it ends it in a rather awkward manner. 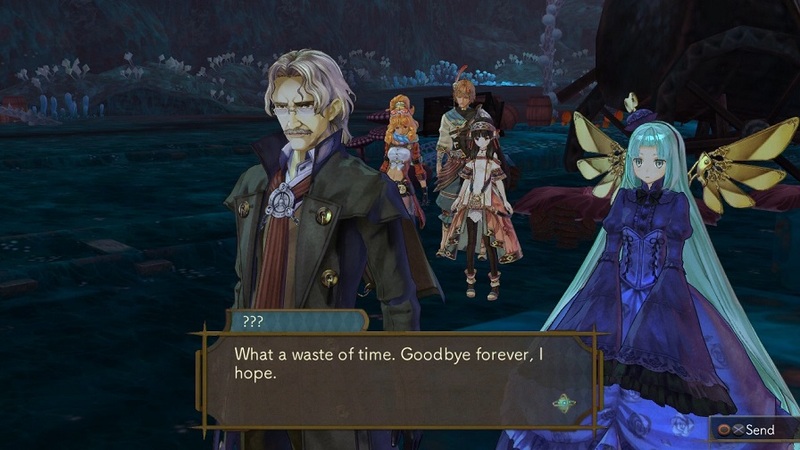 None of the questions raised in the past two games finds a definitive answer : Linca’s story is barely hinted at, the truth behind the drought that plagues the world is hardly explainded, we are still waiting for an clear illustration of Alchemy’s past mistakes, and Ayesha and Logy are MIA. Story-telling is faulty too. This sequel looks more like a spin-off that borrows some characters from before. It’s composed of two separate stories : Shalistella’s and Shalotte’s (both called Shallie). Shalistella is your average Atelier heroine whereas Shalotte, more dynamic and lively, introduces a more moe approach. Unfortunately, neither side has been well executed, and the slim differences between the two adventures doesn’t make replay value very valuable. 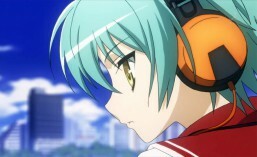 Shalotte got on my nerves after merely two chapters : she’s not half as good as Meruru for example. The Shalistella part ended up boring fairly quickly (she wants to save her village, nothing more). Generally speaking, the story never takes off and stays as a series of events half-serious, half-humoristic. The tone seems mainly light in the end, because any attempt of the game to get more serious sounds really off. Because of low stakes and an astonishing lack of intensity, but also surprisingly shallow characters. Of all the newcomers, Miruca is the only one that shows a bit of work : only her has a solid backstory and thus the only one you sympathize with. The others feel almost invisible given the low interest of the events they’re in. Wilbell, Escha and Keithgriff are back but their role is quite secondary and they add nothing but their combat capabilities in the end. Reyfer appears like once or twice, it was really unecessary to bring him back for 5 minutes. A bit like Lighting Returns, you no longer get experience points in battles (or very few). XP should be gained by doing Lifetasks, objectives comparable to Atelier Ayesha’s. Some of those challenges are immediate (make a specific object, do a specific action, get some alchemy trait, beat X monsters, explore maps, etc. ), but others are to be achieved on the long term. Even without the time parameter, management is still there because you’ll often have 10, 20, 30… tasks available at the same time, an varied enough. The ones you complete constantly trigger others, so it’s a never-ending managerial frenzy, let alone the fact that you still have to manufacture your gear from scratch. That said, there’s no denying that gameplay has grown poorer. Just one example that thunderstruck me : the characters decide to hold a cake contest at some point. So I do expect to spend some hours in my atelier making the ultimate sweet. Far from that, the event launches right away and a get the free trophy without doing any action… there I realise that clearly the Atelier I knew was no more. The exploration of the world map is also made boring by the infinite time, the rigidity of the progression system and the bland level-design. Exploring doesn’t have the thrill it used to. Combat has also been revamped although there was no need to (see the above video). 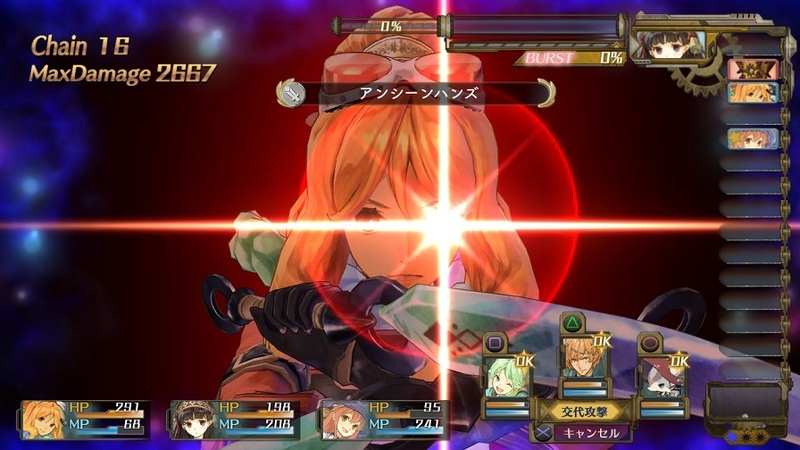 Atelier Shallie introduces a system called Burst : every time you hit an enemy, a burst jauge is getting filled. When this one reaches 100%, you can deal a lot more damage. You got it : it’s a Break system like there are everywhere since FFXIII. It brings nothing but wasted time between Burst sequences. Worse still, the enemy can slower your Bust jauge if you are hit too often, which in some cases (fortunately rare) is horribly irritating. Despite that little blunder, let’s stress that if you meet certain conditions, you can trigger the Field Burst, kind of magical circle that boost your stats for the time of the Burst : a nice idea to further vitalize combat. The rest of the fighting is directly inherited from Dusk, that is to say equally tactic and nervous to keep interest until the end. Be warned though, the game is fairly easy until the very end, even in hard. This being due to the multiplication of super-powerful healing spell that makes the manufacturing of healing items almost useless. It could however be corrected if KT makes the No Hope difficulty available at release, Despair being only for NG+. The good news is that the game has been further polished visually, as it has been the case for 4 years. Although backgrounds are still mostly bland, the battles show artistic and technical mastery : modeling is refined to the extreme, the level of detail is more than satisfying and the animation wonderful! The various moves of the 8 characters are varied, and spectacular. On design, Hidari’s illustrations are as good as ever and the OST quality stays high, especially on battle themes. Let’s finish on the only subject that was left untouched from Escha&Logy (wise choice) : Alchemy. It still has the skills divided into the 4 elements, save that they are even clearer and intuitive, which makes the system extremely precise and enjoyable without any loss in complexity. 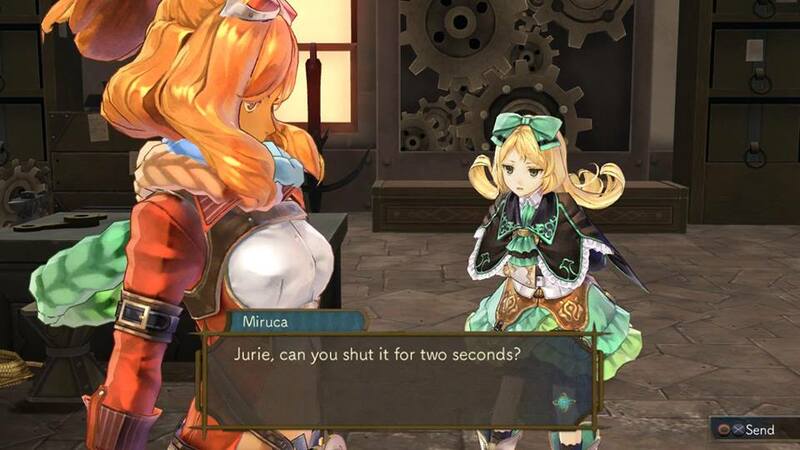 Atelier Shallie bears all the signs of a game that was developed and released too fast : lack of overall content, lack of ambition but also launch hiccups that still make it crash 9 months after. Not a bad game, but it has lost the essence of what Atelier means and there can be no greater disappointment. We do have to wonder how an old and illustrious series like that could have been ruined and rent like a parking lot to a loan shark for subsidies. 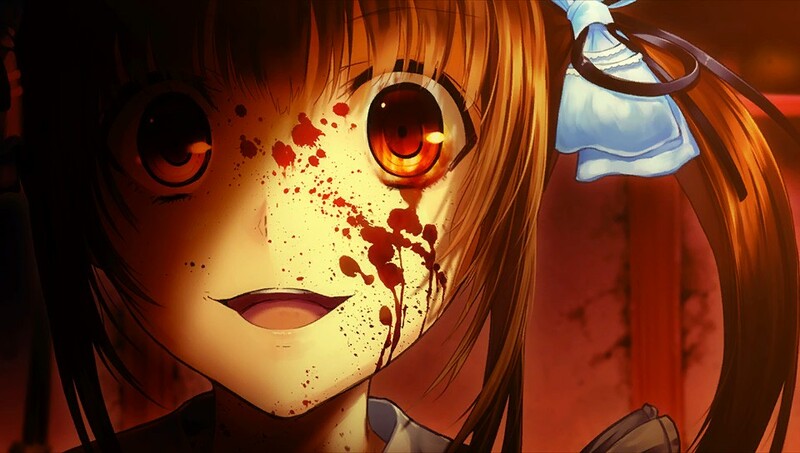 This entry was posted in review and tagged atelier, gust, jrpg, PS3, tecmo koei. Bookmark the permalink. Sad to hear this is the case. 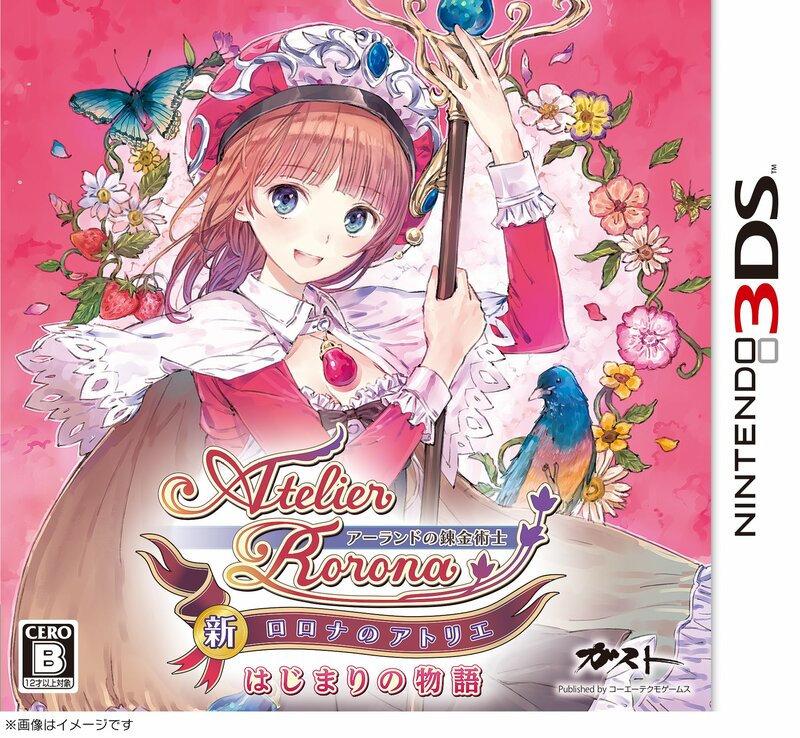 Personally feel though that the Atelier series (which is one of my favourite game series ever) lost its magic after Meruru. Personally I own almost all jrpgs released by gust aksys namco and nisa and i do love the atelier series. The older ones were much better then the dusk series, however dusk wasnt terrible. If i picked a direction that id like to see them head, id choose arland/arls games. I just have to wait and see, I mean FF had some amazing titles too as well as some terrible ones. Atleast I can say ive never had to stop playing an Atelier game and sell it on ebay before its resale value drops. You just got to have faith they get past this and back on track. I’m currently playing Shallie at the moment, I know there is some annoyance with the task translation unless you press square but I think the battle system isn’t bad though its almost like the battle feature in Meruru in a way. 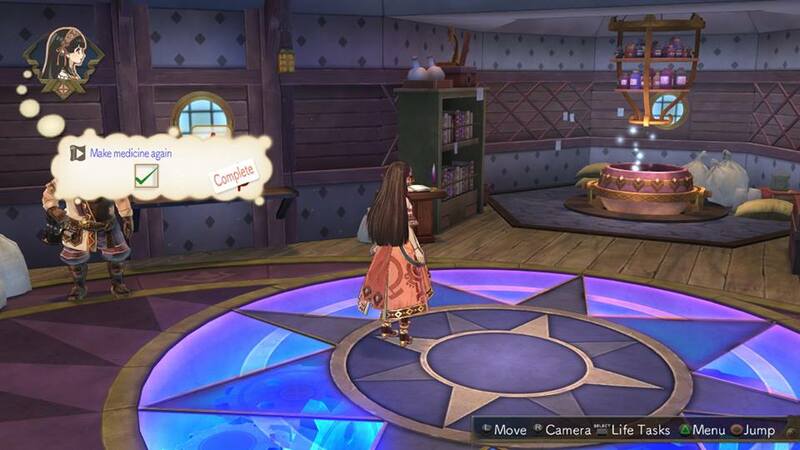 The alchemy does looks more simpler but I still struggle since I’m new to this alchemy system (was more use to the older alrand type) I just hope Atelier Sophie will give us hope when it comes over here.